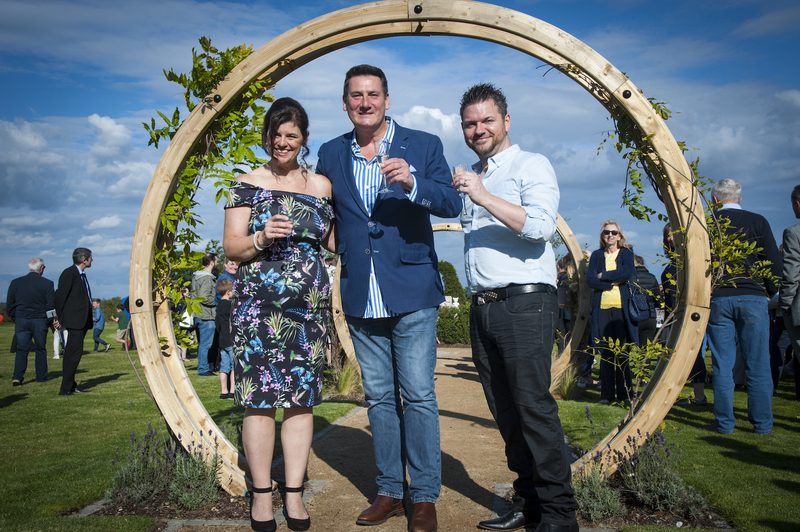 Former Spandau Ballet star Tony Hadley opened a special children's memorial garden at Dignity-owned Lichfield Crematorium. The garden is called Violets in Bloom after Violet Mornington, who died of a rare blood disorder in July 2013 at the age of just five. More than 100 of Violet's friends and family members came together with her parents, Kerry and Ivan, to celebrate the unveiling of the garden, which provides a sanctuary for bereaved parents and their families. Tony Hadley has a personal connection to the family, as Violet's singer-songwriter dad Ivan, an avid Spandau Ballet fan, sang Through The Barricades in the 2000 final of Stars In Their Eyes, and the show featured a special good luck message from Tony. He heard about Violet when her family began raising funds for a children's memorial garden in her honour. Dignity PLC paid for the design and development of a new memorial garden after previous contractors left the original one unfinished. The opening ceremony also included a performance by a Rock Choir, a speech from Violet's parents, a release of doves and balloons, and Violet's schoolfriends singing a tribute song written by Violet's uncle.